Map It! 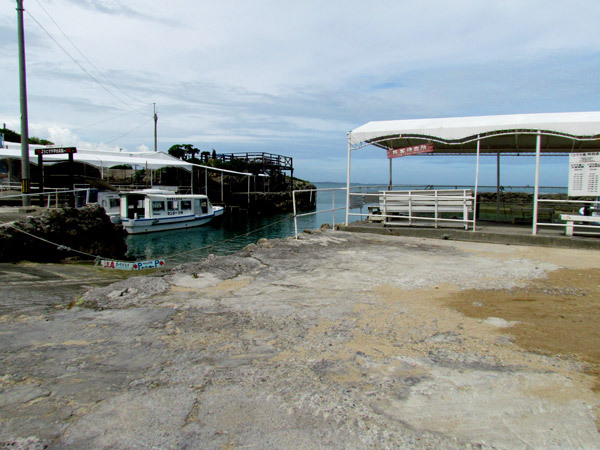 Okinawa: "Komaka Jima, Nanjo City"
If you are looking for a one day getaway, then a quick trip to a little island may satisfy your appetite. 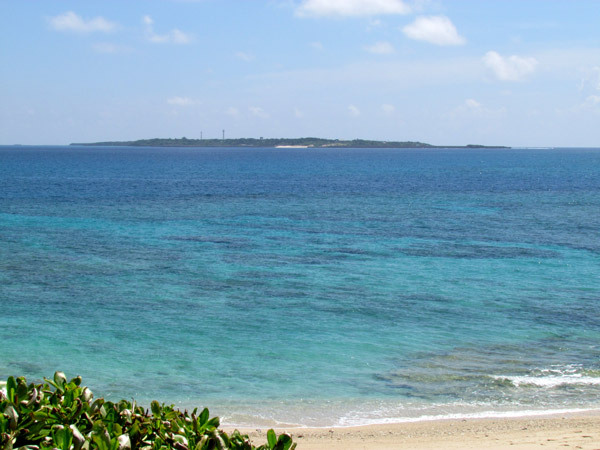 Several kilometers east of the Chinen Peninsula lies this tiny island paradise known as Komaka Jima (コマカ 島). It's roughly a 300 by 300 square meter island, with plenty to do and see during your stay. Most who venture here go for the clear ocean water and fun in the sun. But if you just want to relax and leave the rest of the world behind for a few hours then this is a great place for it as well. If you like taking photographs, you will have plenty of opportunity to take shots of unique features around the island. Please click here or click on photo album above to see other angles of Komaka Jima. 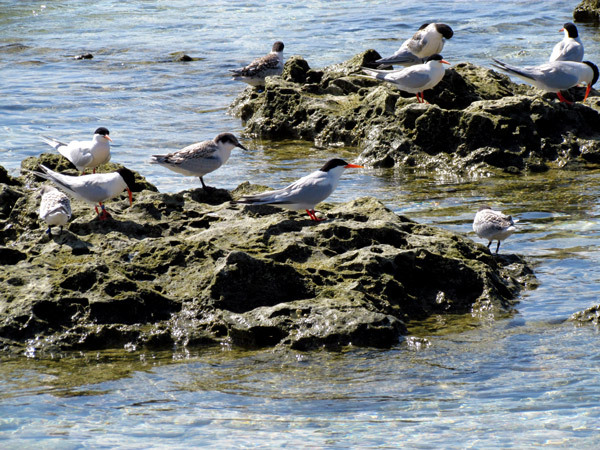 If you are into birding, the Terns here during the summer will keep you busy. 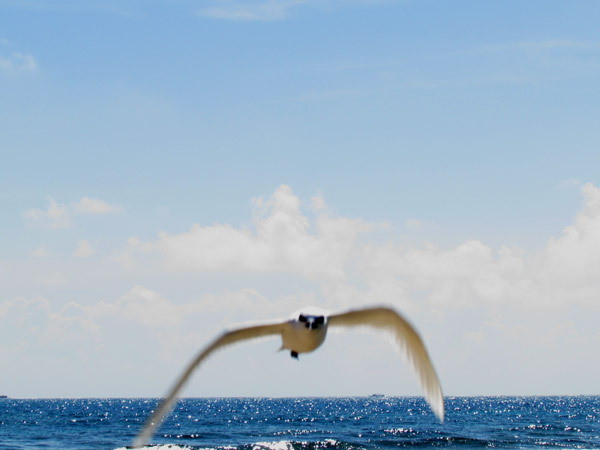 Get too close, and they will let you know, as this bird did diving towards the camera. From a distance, you will see Kudaka Jima to the northeast. Get out and see another island! 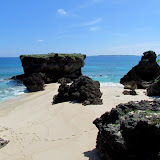 Visit Komaka Jima. TRAVEL INFORMATION (Important! Please Read Before you go!). Departure Point. Your trip begins at the Chinen Leisure Center just a few hundred meters south of the Azama Port and the San-San Beach along Highway 331. The entrance way is marked by this gate with two dolphin statues at each end. The port is down at the bottom. The GPS coordinate above is to the Leisure Center. See map above to see ticket office location (next to the boat port). The boat ride is about 15 minutes one way. Getting Your Ticket. You will see various buildings as you make your way down to the small port. 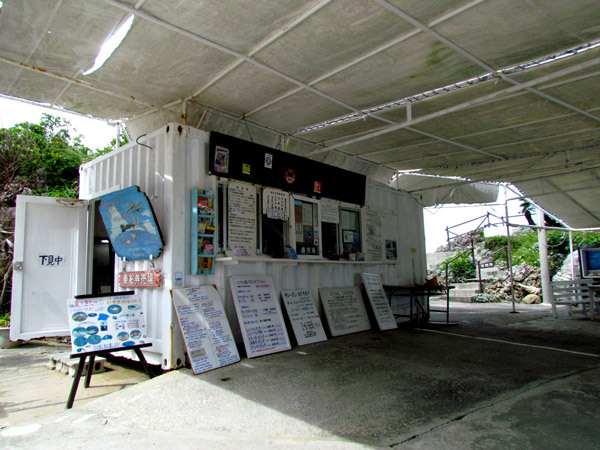 The ticket office will be a small shack (see photo) down at the very bottom next to the boat port. Here you purchase your ticket (make sure you keep your ticket stub till you return!!!!). The staff will ask you what time you would like to leave and return and will annotate this on your ticket stub. Your Return Time. When you purchase your ticket you have to tell them what time you would like to return in advance. If for some reason you would like to leave earlier or later than your original request, please let the staff know on Komaka Jima at least 30 minutes in advance. Ticket Prices. At the time of this post, round trip ticket prices were 2500 Yen per adult and 1250 Yen per child. Weather Cancellation. If the seas are rough (even on a beautiful day), then all boat trips to Komaka may be canceled for safety reasons. This has to do with the size of the boats, water safety, and off-loading passengers safely on Komaka. It is highly advisable that you have a back-up plan should you arrive and trips are canceled. Cancellations may occur without notice. Please look at the weather report or call in advance. Cancellation may only last for hours of the day depending on the sea conditions. Possible back-up plans: There is the Azama San-San beach adjacent to the port if you still want to hit the beach or you can take a trip to Kudaka Jima from Azama port on the much larger boats. 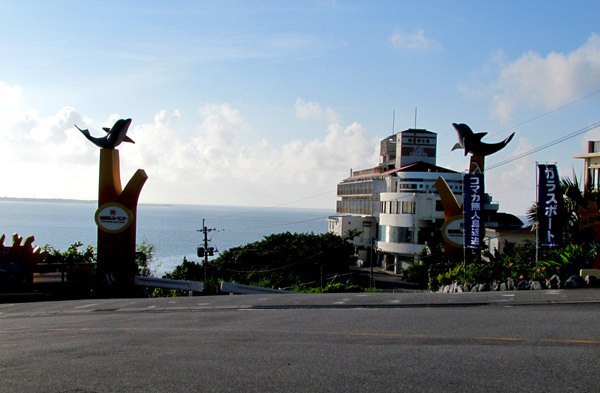 See articles on Azama Port and Kudaka Jima for more information. Depature Times. Boats leaves the Chinen Leisure Center every 30 Minutes beginning at 915. Next one is 945 and so forth with the last boat leaving at 1645. Return Times. Return times is also every half hour starting from 10am next one 1030am etc with the last boat leaving 1730 form Komaka Jima. Water Safety Regulations. As pertaining to Komaka Jima, the Japanese Coast Guard requires that individuals who wish to swim or snorkel on or near the island MUST wear a life jacket or some floatation device. You can rent life jackets (500 Yen all day) at any of the various rental shops near the boat port. Rentals. Aside from the Life Jacket, you can rent out beach umbrellas (500 Yen all day) and fishing gear as well. You can also bring your own tent or umbrella for shade. Staff Availability. There will be staff members on site at Komaka Jima should you need any assistance. Toilet Facilities. Toilet facilities are available on island. Shower Facilities. Upon your return, you can use shower facilities at some of the rental shops for 200-300 Yen depending on the season. What to Bring. If you are going to be there for a long time, bring some shade (beach umbrella – can also be rented), small tent, Sun lotion for protection, plenty of water (there are no soda machines available), small cooler, bring your own snacks and meals, appropriate clothing. Consider bringing shoes. 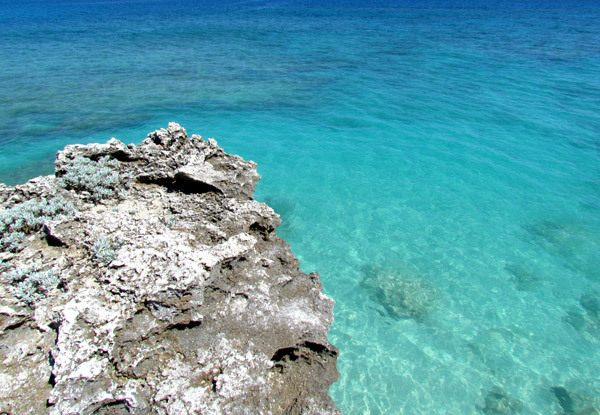 You do not want to explore and climb the rocks in sandals! Other Recreational Activities. There are other recreational activities such as banana boat rides, glass boat rides, diving adventures that can be arranged at the ticket office. Prices are separate from the trip ticket. See link for other activities http://chinenmarine.co.jp/ryoukinhyou.htm. Google Translation maybe be required to understand the price chart. English Language. Spoken English is very limited. Directions. See the Departure Point at the top for navigation information. Author's note: Komaka Jima is sometimes spelled Kumaka Jima in Japanese.